It was the 1980’s in Britain, the proverbial midday of the Thatcher-Reagan era, when comic author Alan Moore extended the logic of the right wing’s rhetoric to envision a Britain of the future, under the complete subjugation of a dictatorship. It went beyond the beginnings that had already been seen, of cutting down unions, banning gay marriage, and cutting off immigration. This Britain–racist, misogynistic, unloving, fearful of the very cameras on every street corner that citizens insisted they couldn’t live without—was the stage for one of the greatest stories of the late 20th Century. It wasn’t the first political comic I’d read, but V for Vendetta was my political comic baptism: no medium would ever beat it. Like George Orwell’s 1984, or Bradbury’s Farenheit 451, or any of its many pictureless literary siblings, V for Vandetta was a barometer for me to know how sick my society was. (Moore himself would quip years later, that someone must have liked those cameras in the streets: now they’re everywhere). It is well known that Moore, as a comic book writer, would prefer the medium of comics over books or film. But apparently others thought so, too: it became one of the most popular and meaningful works of modern literature, and it still sold over 20,000 copies just last year, two decades after its original publication (a long time in the comics world–although now it is compiled in one volume). 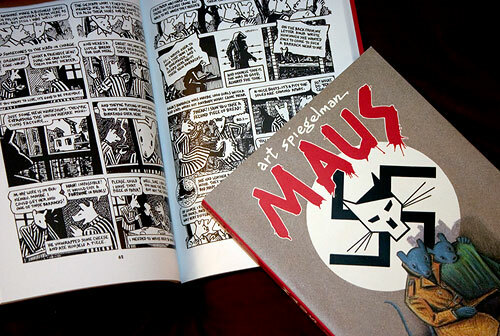 For millions of people, something resonates between the text-and-paper story, already heavy with meaning, and the graphic images that make it—and graphic novels in general—especially moving works of literature and art. At a comic book store, among many more men-in-tights titles than you will ever care to read, you will find a countable few. If you go down the street to your local bookstore, you can find a smaller but nonetheless interesting collection of graphic novel fiction. On the rise now are also works of historical and biographical comics—libraries and classrooms can’t seem to get enough of them. But nestled here and there, in-between these surely enjoyable pages are the books I am writing about today: the political comics. V for Vandetta was surely an excellent work of fiction, science fiction, and social commentary. But it was also a political comic that spoke to real issues effecting an iron-fisted, Thatcherated Britain. It was a warning. And to this day, the Guy Fawkes mask worn by “V” has adorned many a protester, and is even the avatar of the worldwide ‘Anonymous’ internet movement associated with Wikileaks and social media-assisted uprisings in North Africa and the Middle East. “But wait,” you may be thinking… “Aren’t graphic novels just comics? And aren’t comics just… cartoons? Aren’t they supposed to be the opposite of serious?” How, then, have they been used so successfully to publicize the discussions of some of the most serious topics—from slavery and the Holocaust to modern warfare and political struggles? And let’s not forget that political comics themselves are older than the newspapers that first published them in the 19th Century. 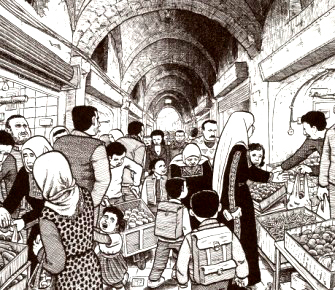 The political comic—or graphic novel—is not a homogenous creature. Encompassing a veritable pantheon of different subject matters, authors come from a variety of backgrounds using many different formats and styles for different reasons. Allow me to give you a quick crash-course of some of the world’s most notable political comics. 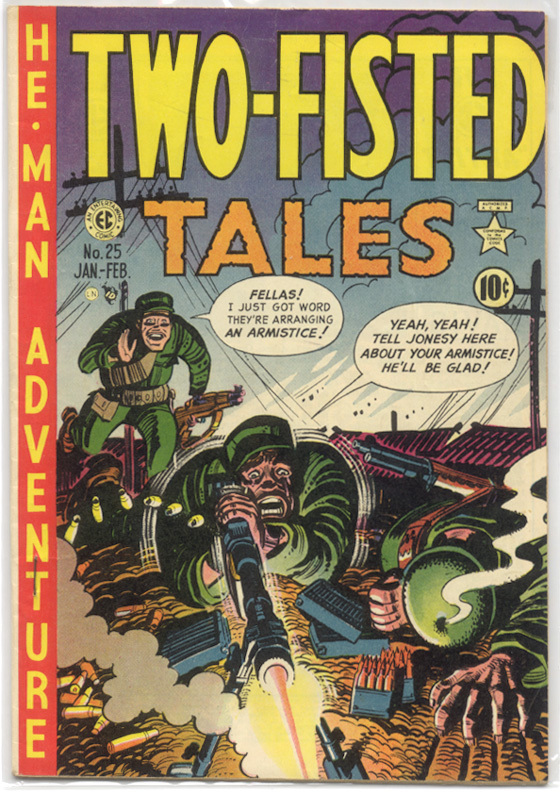 Many more have been published since: “Uncle Sam” written by Steve Darnell with art by Alex Ross; “The Confessions of Nat Turner” written and drawn by Kyle Baker; “Louis Riel” by Canada’s own Chester Brown. But my current favourite is “Bayou,” an unfinished three-part (maybe four?) work by Jeremy Love. While fantastic in nature, there is little doubt in categorizing Bayou as political fiction: set in the Depression-era Deep South, a young black girl named Lee must rescue a white girl from the Bayou swamps to prove her father’s innocence. Through this eerie landscape, Lee slips into a parallel world of Southern folklore and political anthropomorphism—an “Alice in Dixieland”, if you will—where the she must outrun and outwit characters of a racist imagination: murderous flocks of Jim Crows and minstrel show monsters, to name a few. It reminds me (again) of something Alan Moore said in reference to his take on the comic classic Swamp Thing: why only look to the supernatural to find horror? There are truly horrific things happening all around us here and now–racism, sexism, homophobia, xenophobia–that is much more scary when you consider the greater possibility of it affecting your life than, say, zombies. And, in a well-told story like Love’s or Moore’s, it will send prickles down your spine. If you’re intrigued, Jeremy will probably be pleased: he’s got another edition of Bayou on the way needing your attention. And I’m pleased as well, because there should be more people going into comic book stores and asking for political work. I was amazed this year at the Toronto Comic Arts Festival—an incredible amount of talent under one roof, thousands and thousands of writers and artists—but so few political causes using the medium, and none exclusively so. When progressive and Left issues are so often marginalized or simply misunderstood, the medium is incredible for spreading awareness without being condescending or preachy. Political comics are a huge untapped resource, but they require research, time, and talent. More than anything, they require talent committed to progressive causes. In the coming days, I will be listing and reviewing some of my favourite political comics, with a few image panels for you to see the work for yourself. I hope you enjoy what you find, and pass the work on. Feel free to send me your feedback, as well as any suggestions for new or overlooked work: I’m always looking for more.